This post is meant to share with you the way Traditional Chinese Medicine uses herbs to naturally increase fertility and how the herbs encourage pregnancy in the body. The good news for those of you with questions about herbal treatments is that the answers are all around us. Often the key is just to get quiet enough to listen. Some herbs on this planet grab more attention than others, but they are all here for a reason. We need to take the time to listen and observe what they are here to offer. In fact, listening is what acupuncturists who are Traditional Chinese Medicine herbalists are all about. We listen when it’s hard and sometimes inconvenient. We listen when a person is complex and their health history is long. We listen as patients’ tears fall, their voices tighten or jaws clench. We sit and listen through it all in order to discover you—the patterns you are dealing with and, eventually, to help you step into your whole-self as you were intended. Your uterus never lies, so we ask that you look and we all listen to find what it is that you need more or less of in your body. When you take the time to work side-by-side with an acupuncturist and herbalist, your patterns of disharmony and imbalance will slowly fall away until all that is left is you. There is a big misconception in the West about how to use herbs and about their dosing. Truly effective herbalism is about determining the correct dosage to address a body’s “pattern” of imbalance. That’s why there is no silver-bullet one-herb-that-fixes-all (at least to us practitioners of Traditional Chinese Medicine). For example, there is no one “bloating” herb just as there is no one “fertility” herb. It depends on the entire person! If your bloating is associated with sluggishness and cold hands, that will indicate one formula of herbs, whereas if you have bloating accompanied by dry stool, dry mouth and night sweats, that will indicate another! Along these same lines, painful periods with no clots versus painful periods with heavy clotting will indicate a need for different herbs. By tirelessly searching for clues to each patient’s pattern of imbalance we can send a family of plants that will slowly negate that family of imbalance. And as you change, your teas will change, too. Just like peeling away layers of the onion, herbs are prescribed in phases as years of holding, discomfort and stress melt away with each cup of tea. Some formulas that worked so well last year may seem to have no effect on you now. Or perhaps a single herb will work for a time and then, alas, you find yourself experiencing no further progress. That’s because your patterns are changing inside of you and, when you change, so should your herbs. Typically, therefore, a woman will be on different teas during pre- and post-ovulation. Depending on how smooth her period is, she may also have a completely different blood-moving or calming tea blend to take during her period! Just writing this reminds me of how diverse one woman can be—and just how beautiful that really is. Often the different energies of a woman’s cycle are also reflected in the different aspects of her personality. For example, she may be more confident and outgoing around ovulation but more irritable and discerning right before her period. I often remind my partner how lucky he is to have three or four different girlfriends in one month! 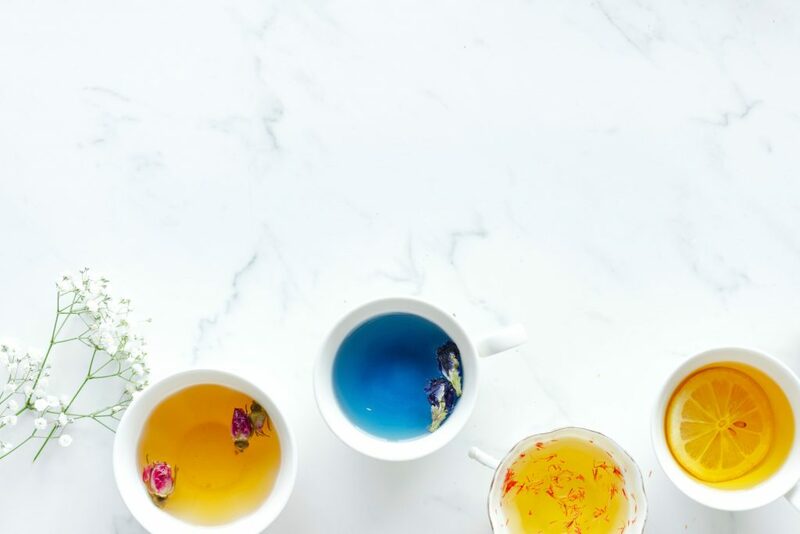 (Though I’m not always sure he feels that way…) My point is, if one woman can have three separate teas throughout her cycle, how is it that we think there can be just one herb for all women who are trying to get pregnant?! Women are complex, extensive individuals who can baffle doctors when they don’t fit into charts and graphs (but, boy, do they try to make us fit!). As herbalists, we believe you are not your disease and you are completely able to heal. If things aren’t right, trust that it is the pattern talking and not your true self. When you release that pattern with the appropriate herbal formula, you will release those symptoms and, along with it, free yourself to be as you are! How do herbs affect fertility? Once you have been properly assessed by an acupuncturist, the formula will affect your body much like acupuncture. The combination of plants prescribed for you are very much playing and dancing off of each other. When they reach your digestion they will then start to dance with you. The magical herbs will offer suggestions and new ways for your body to exist. They will offer an invitation to change which, depending on your energy and the aptitude of your herbalist, your body will accept or wait for a different invitation to dance. Typically we will know within a few tries or a few weeks if it was an acceptable invitation. When your body does accept the dance, wow! it can feel like a miracle. When it doesn’t, perhaps your body was simply not ready to receive that particular formula. Sometimes as herbalists we come out swinging and ask your body to do too much of a dance when it’s really just in need of a walk. All these things become evident as you take the teas we create and experience the gentle shifts in your body with each cup of tea. As Chinese herbalists, we never try to override what your body isn’t ready to do. That’s not how this medicine works. We will not recommend one single herb or recommend herbs in large doses in order to force a dramatic change in your body. Instead, we want to slowly walk backwards out of the pattern of imbalance (picture gingerly walking away from a bear). This isn’t’ about shoving you over! It’s about finding the right dose at the right time. Take ephedra (or as we say ma huang) as an example: Ma huang is something we would never prescribe in high doses as has been done in the West to increase a person’s energy. In fact, due to inappropriate dosing and irresponsible use, ephedra is now mostly illegal in the US. Yet people are endlessly surprised when they learn that we actually use ma huang in extremely low doses in combination with other plants to effectively treat asthma in children. Who would think an herb that has such a bad reputation is actually helpful (even in kids!) when used appropriately? Every plant has its own voice and, unfortunately, we in the West did not listen to what this one had to say. While you need to contact your local acupuncturist who is also an herbalist in order to find the magical herbs for fertility are available to you, I am not going to leave you without at least talking about my personal favorite: tu si zi. The nature of tu si zi is neutral and sweet, entering the liver, kidney and spleen meridians. Because the master meridian for fertility is the kidney meridian, it’s common that many of the herbs we use for fertility in Traditional Chinese Medicine tonify the kidneys. While I am not recommending that anyone with fertility consume this herb, don’t be surprised if your herbalist adds it to your tea! Because it is such a fertile plant, tu si zi is actually illegal to sell in the U.S. unless it is granule form because it is an invasive species. Also known as Dodder seeds or cuscuta, it can easily turn into an invasive species because it is a vine that will take over other plants—pretty much embodying the nature and personality of the word “fertility!” When dried and put into a tea, tu si zi is excellent for the second (or luteal) phase of a fertility cycle. Remember: the intended energy of the luteal phase in a woman’s cycle is to hold things up and securely, which is completely in line with the personality of tu si zi. In Chinese Medicine “like treats like.” So when you are trying to “spread your seed” and reproduce, it only makes sense that seeds from fertile and strong plants would encourage exactly this. The more I learn about how much Chinese Medicine, the more beautiful and poetic it becomes. Want to learn more about Chinese Medicine-based tools designed to enhance your fertility? Sign up for our e-course on natural fertility. No Replies to "Magical Herbs for Fertility--How they Work, Why they Work and My Particular Favorite"